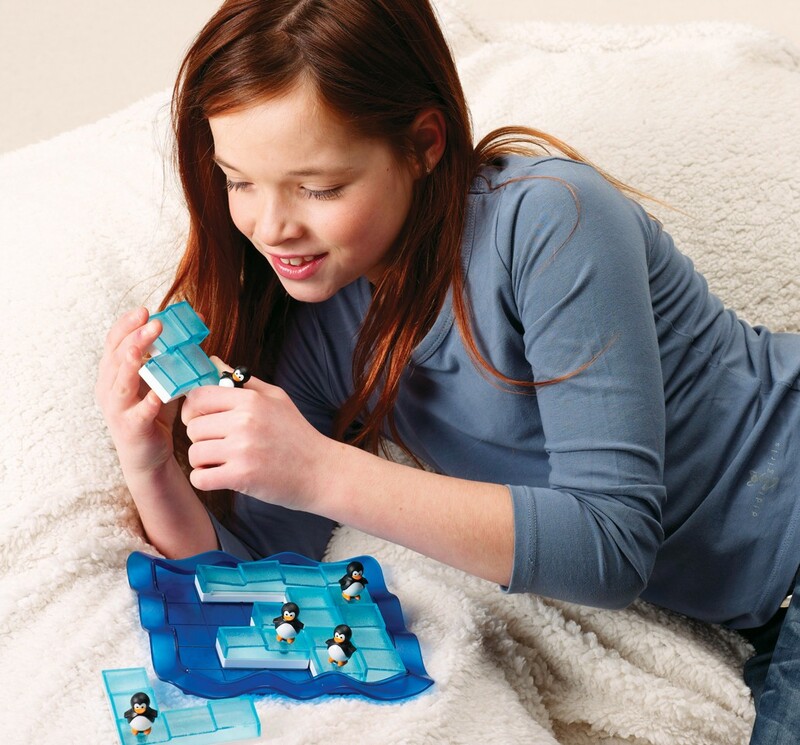 Can you pack the ice so that every puzzle tile can fit on the game board? 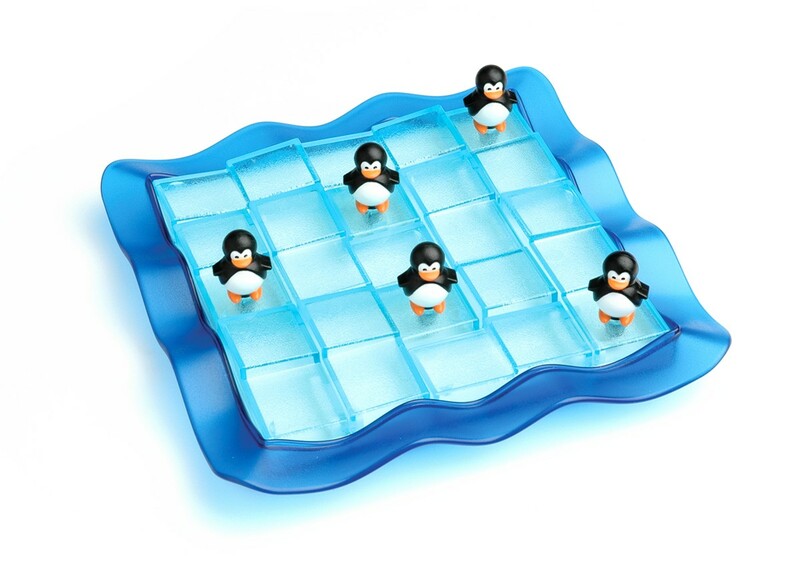 Can you also make sure that all the penguins are in the right spot? 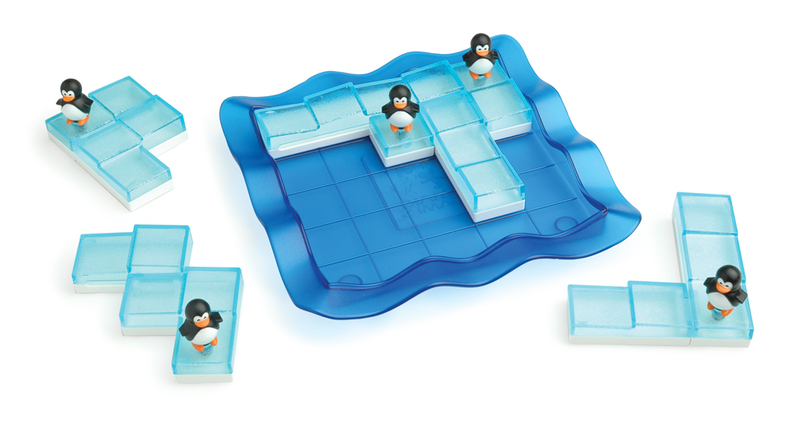 Penguins on Ice is the first game where the puzzle pieces become the puzzle! 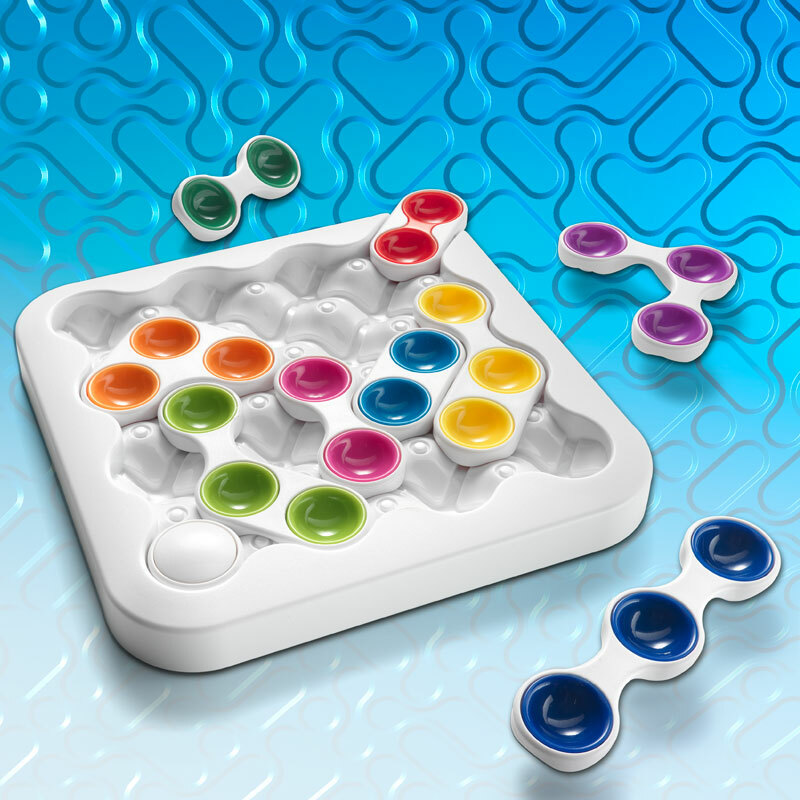 Because in this original brain game every puzzle piece can be shape-shifted! 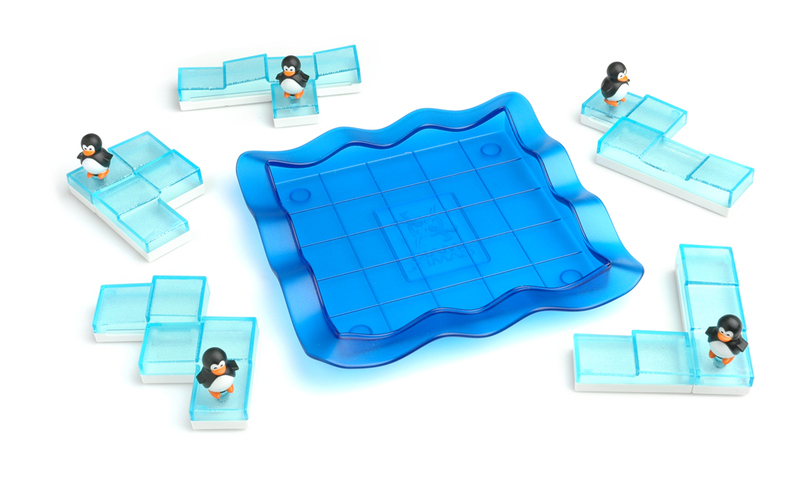 Choose a challenge and make sure you pay attention to the location of each penguin. 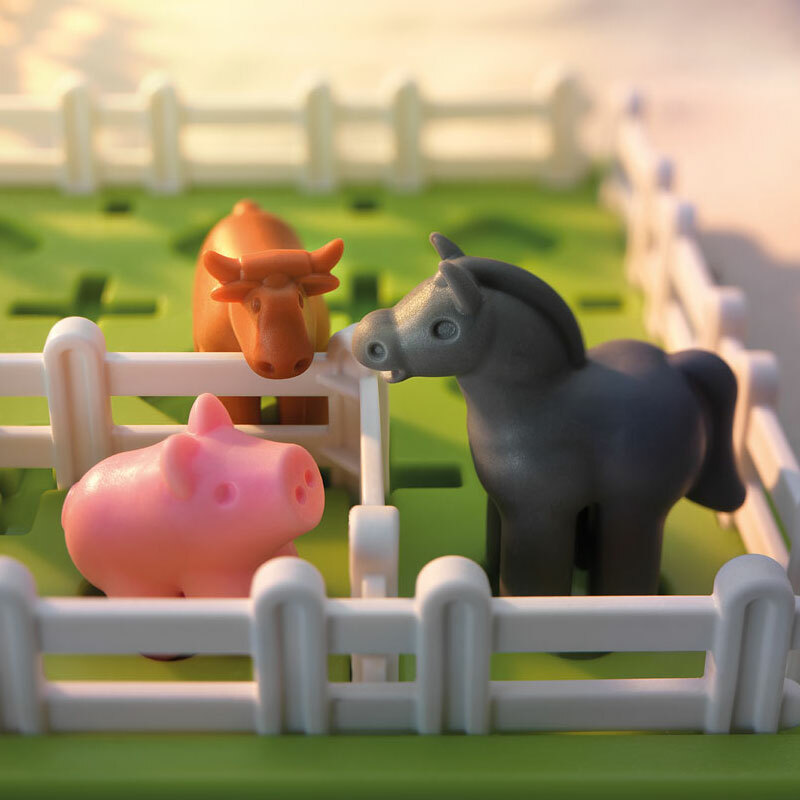 Arrange the 5 puzzle pieces on the game board, one next to the other so they all fit. 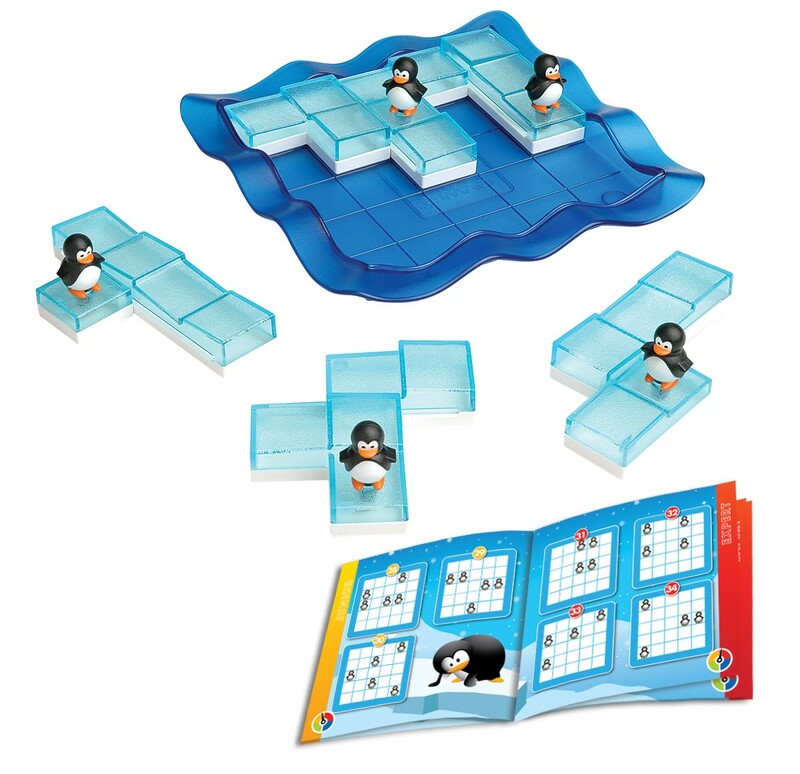 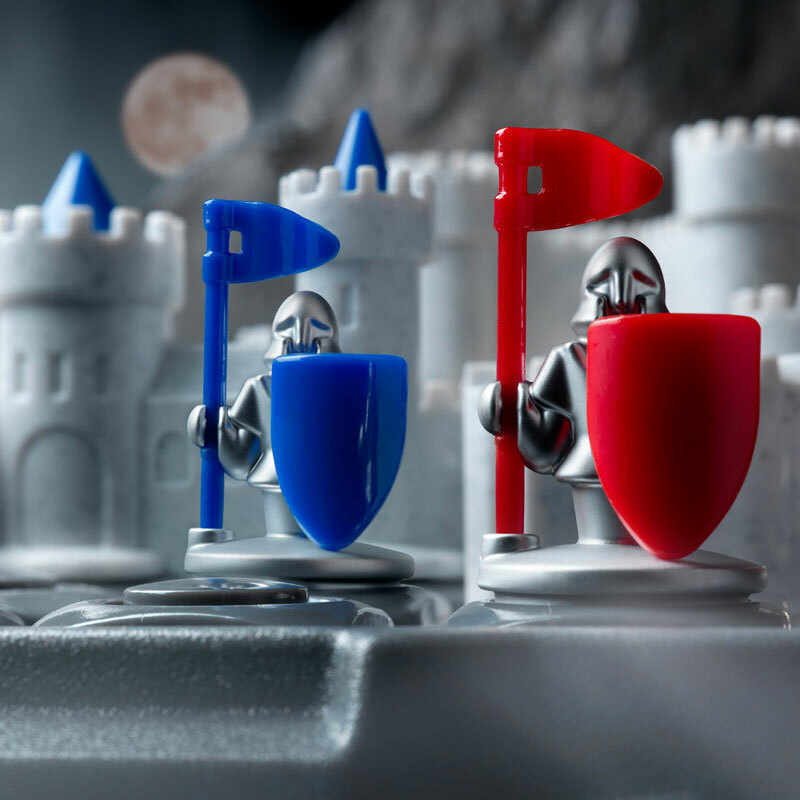 If you want to help your child to make their thinking visible, then Penguins on Ice is the perfect brain game for this. 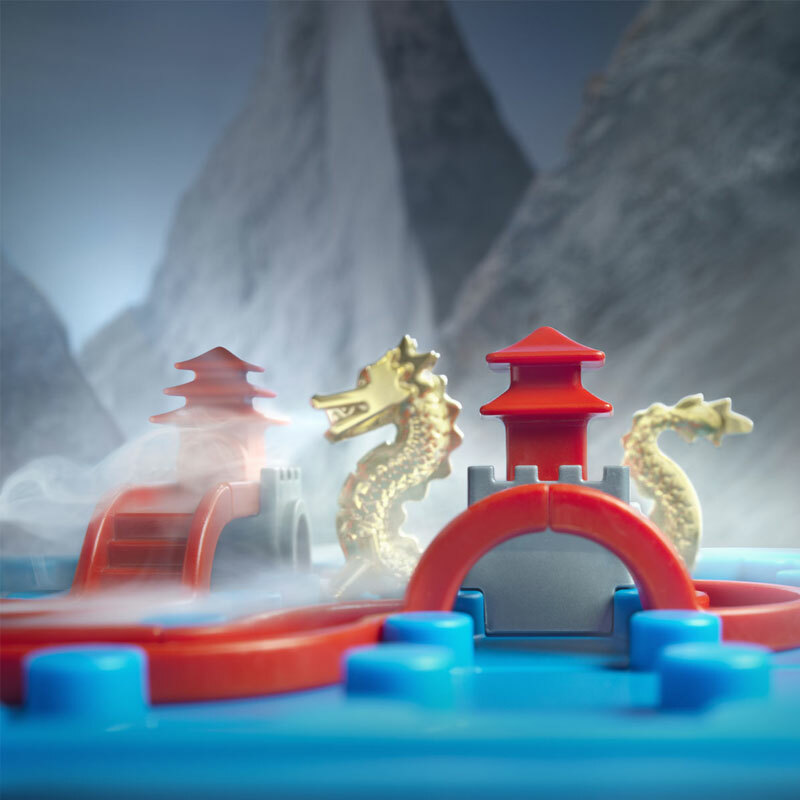 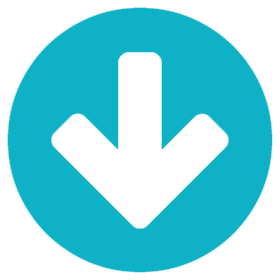 It’s outstanding for real world spatial planning and problems solving which is vastly different to playing games of logic on the screen of a device. 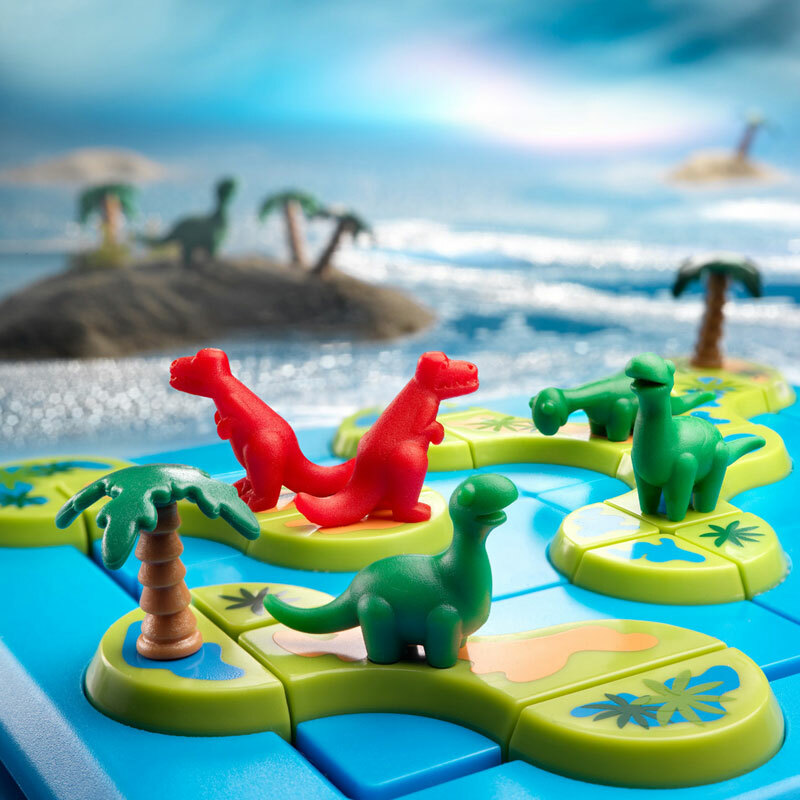 I’m always on the look out for good ‘travel’ games these days, something that will keep my son amused both in the car and in aeroplanes. 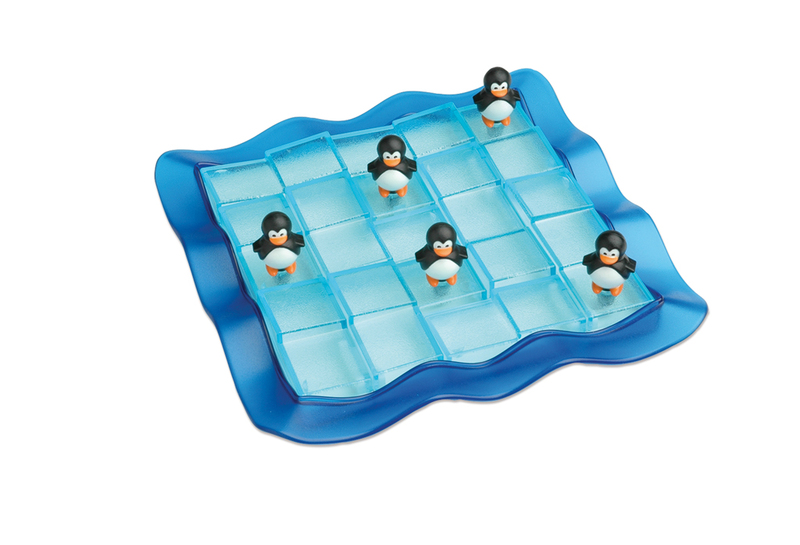 Penguins on Ice really fits the bill.